You’re currently in Italy with the Rocky Horror tour. Is the show received differently depending on what country you’re in? I’ve performed Rocky Horror in several different countries now and the reaction is pretty much different in all of them. In places like South Korea and Italy there is a bit of a language barrier so they might not do very many of the call-outs that have become famous with Rocky Horror, but the music stands up for itself, so we always get a warm reception wherever we go. In Korea and Singapore not that many people get dressed up, but it’s still a fun time no matter what. Where are people craziest about it? For me personally it’s the UK. I’ve never seen anything quite like it, where people come along dressed up and call out. Of course you don’t have to get dressed up but if people are and they’ve had a few drinks, they’re up for a good time. Really the audience in Rocky Horror is almost like a separate character. 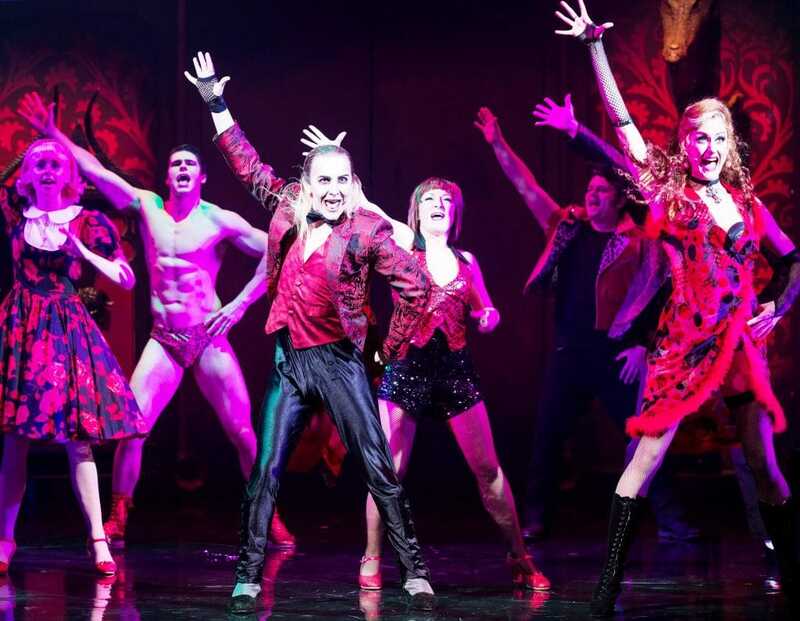 By the time the show has left Oxford, you’ll have done over 1,200 Rocky Horror performances. Have you always been Riff Raff? I was in a production as Brad and in a couple of smaller productions as Frank N Furter. At one stage I never really imagined playing Riff Raff because he sings incredibly high – like an Axl Rose belt. I never imagined I could sing it. Luckily somebody thought differently and got me to sing it in an audition. It came out and the rest is history I guess. Is the Riff Raff you play now any different to the one you played when you first started doing it? It does progress as you learn different things from the way the audience reacts. And I go under quite a transformation before I hit the stage to turn myself into Riff Raff. When I started doing it he looked a lot younger. Now I age him up quite considerably – painting on the wrinkles and just making him look far unhealthier. That’s something that has developed gradually over time and I didn’t even really notice it happening. But I look at photos from four or five years ago and compare them to now and I do look a lot more haggard. You take a lot of photos for your Twitter of the really beautiful theatres that you’re performing in. It’s a bit weird in a way that it’s a show befitting of a smoky cabaret bar and it’s being done in all these splendorous places. But when the lights go down it really doesn’t make any difference where you are. At the moment we’re in the amazing Il Rossetti theatre in Italy – it’s like some glorious opera house. The show looks great in there, but if we were in a car park with some scaffolding I think it would look great there too. I think that’s testament to the show. You’ve performed in Rocky Horror with the original Riff Raff and the show’s creator, Richard O’Brien, how nervous were you for that? I first performed with him about four years ago in a tour of New Zealand. When I got the job I didn’t realise he was going to be joining the cast. So we were rehearsing and someone said “Oh, by the way, Richard O’Brien is coming in to play the Narrator for the New Zealand leg of the tour.” I was just beside myself. 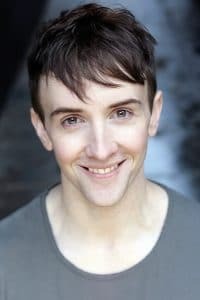 I’d grown up with Rocky Horror, I’m a huge fan, and I couldn’t quite believe my luck. I thought it would be a once in a lifetime opportunity for me, but I’ve performed with him several times since then. The first day when I had to go in and sing Riff Raff in front of him I have to admit I was very scared. When I think of Riff Raff I think of Richard O’Brien as most people do, plus he wrote the show. But when I got there I realised he was rehearsing the Narrator at the time so wasn’t really worried about what I was doing, he was just rehearsing his own stuff. He was very lovely; when you meet him you see what a wonderfully eccentric character he is – only someone like him could have written something as fabulous as Rocky Horror. The show continues to be loved and heavily attended; do you think that will ever diminish? Its popularity just seems to grow and grow and grow. I’m not sure if it’s explainable. It shouldn’t necessarily work but it does. And people keep on coming back for more and more and more. It takes a couple of years off touring every once in a while and then it comes back, and it still plays to sell-out crowds. I think people come along and they realise it’s a good time and buy tickets to come again which I just find amazing and brilliant. I don’t think Richard O’Brien imagined in his wildest dreams that this show would still be going 40 years after he wrote it and that it would still be striking a chord with so many people. It was written for a three week run at the Royal Court all those years ago; 60 people saw the first show and now it’s been seen by literally millions of people. 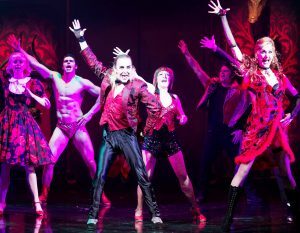 The Rocky Horror Show is at New Theatre Oxford from 13th-17th & 27th-31st December.